A native Calgarian, Nicholas Allen endeavoured into a life of music at an early age. He has been playing the piano as well as singing in choirs for the last 18 years, including two years with the prestigious Vienna Boys Choir. He earned a degree in Music Education from the University of Victoria, where he studied voice with tenor Benjamin Butterfield, and sang with both the university's Chamber Singers and Vocal Jazz ensembles. As a baritone soloist, Nicholas performed with the Calgary Philharmonic Orchestra in the Matthew Halls completion of J.S. Bach's St. Mark Passion (2017), in Brahms' Ein Deutsches Requiem with Knox Presbyterian Church and Christ Church Elbow Park (2016), with the Calgary Bach Society (2014), with Calgary-based VoiceScapes (2009), and various orchestras across Vancouver Island. He sings professionally at Knox Presbyterian Church and as the Bass Section Principal for the Calgary Philharmonic Chorus. When he's not performing on stage, Nicholas works as a teacher with the Calgary Separate School District. A recent graduate of the University of Alberta (Master of Music, Choral Conducting), conductor, singer and percussionist Graham Fast is a passionate and versatile musician. During his time in Edmonton, Graham has worked with many of the city’s finest choirs including The Richard Eaton Singers, Pro Coro Canada’s #connect youth program, the University of Alberta Madrigal Singers, Chronos Vocal Ensemble and Vocal Alchemy. Graham is always thrilled to put his conducting training to work and started conducting Edmonton-based Cantilon Choirs’ Vox Hominis men’s choir in September 2017. In addition to singing and conducting, Graham recently began working with the Edmonton Symphony Orchestra in the Music Library, where he collaborates with the conductors and instrumentalists to prepare music parts and scores for performances. 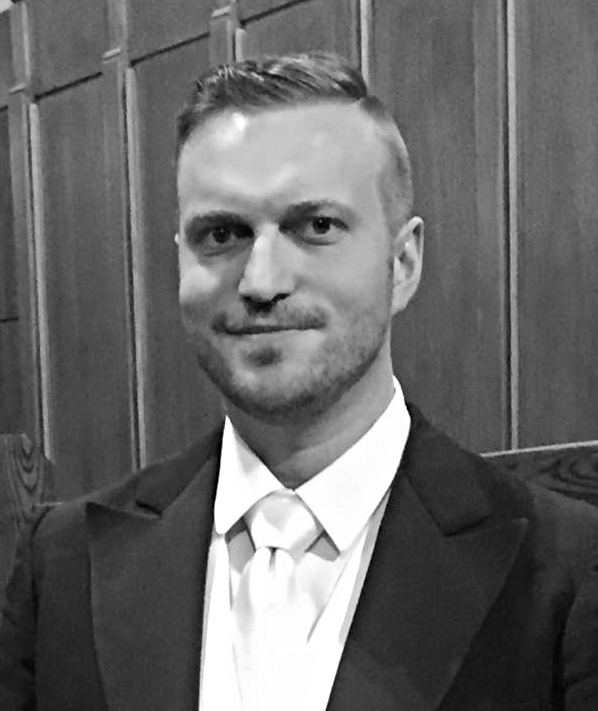 Graham completed his Bachelor of Music at the University of Calgary in 2014, primarily in vocal performance with an integrated focus on wind band conducting. He studied voice with bass-baritone Donald Bell, soprano Patricia Hrynkiw, mezzo-soprano Edith Pritchard, and studied wind band conducting with Gareth Jones. 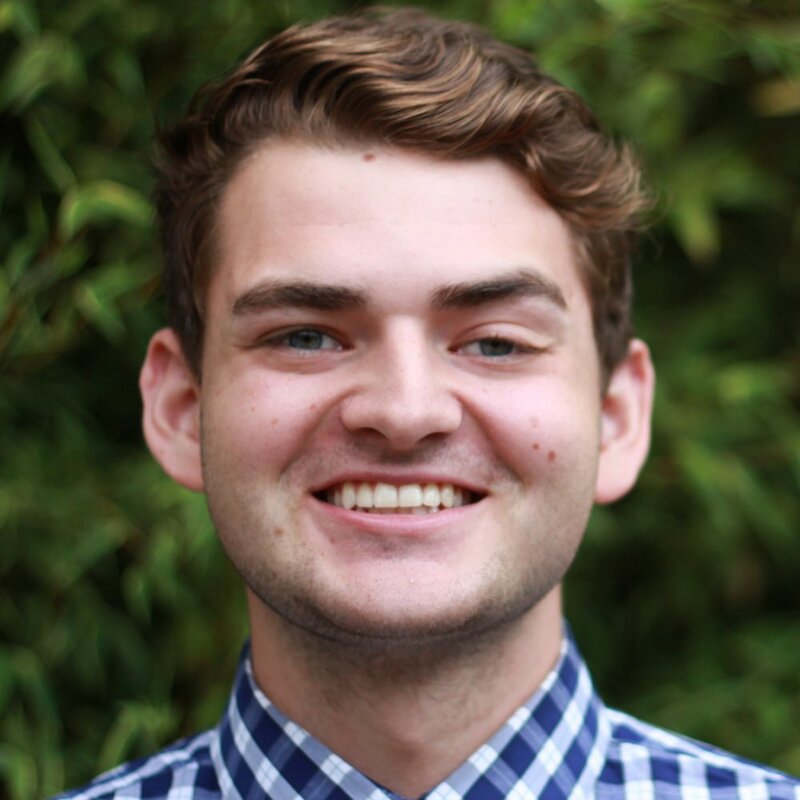 In the fall of 2015, Graham began his graduate studies in choral conducting under Dr. Leonard Ratzlaff, where he received the Queen Elizabeth II Graduate Scholarship in recognition of his academic and artistic excellence. While Graham’s singing and conducting involvements in the Edmonton area develop, he still maintains connections with his Calgary roots, where he is frequently engaged with musical projects. Graham currently lives in Edmonton, where he actively contributes to the flourishing choral community in the area, both as a singer and conductor. I feel fortunate to have been blessed with a unique bass voice. Perhaps I can take credit for the “ten thousand hours” of practice and commitment spent getting to know my instrument, but mostly I am indebted to the many amazing teachers, mentors, conductors and colleagues who have inspired and supported me on my musical journey, including my parents and grandparents, my wife, my brothers and so many others. I have enjoyed a quarter century of professional performances on three continents with such groups as the Vienna Chamber Opera,Opera Atelier, Calgary Opera, American Bach Soloists, Carmel Bach Festival, Tafelmusik, Toronto Consort, Studio de MusiqueAncienne de Montreal, Calgary Philharmonic Orchestra,VoiceScapes, Luminous Voices, Pro Coro Canada and many others. I also recorded for NAXOS, Toccata Classics and Marquis, when CDs were the go-to music medium. I was appointed Artistic Director of the Calgary Boys’ Choir in 2004 and continue today as the organization prepares to celebrate its 45thanniversary. Many of those amazing lads are now taller than me and some already sing better than I do. I also direct the choir at Knox Presbyterian Church and I am on the vocal faculty at Mount Royal Conservatory of Music. When not immersed in music, I am most likely to be found enjoying time with my family, fly fishing, hiking, biking, swimming, cooking or writing poetry. Bryan Hryciw, a founding member of Luminous Voices, has been involved in music since the age of five. Educated on violin and viola, he played with string ensembles and orchestras until graduation. He also performed with choral and concert band programs throughout high school and university. Bryan began a percussion career as a performer in 1996, joined the music staff at the Stampede Show Band in 2001, and was the percussion caption head and arranger from 2006 until 2010. Bryan sings with the award-winning Spiritus Chamber Choir, and collaborates regularly with Il Sono Men's Vocal Ensemble, The Cathedral Church of the Redeemer Choir and VoiceScapes. Bryan holds a Bachelor of Science degree in Computer Science (Calgary) and works as a software developer. Dave Latos has been an avid musician for many years. He began singing in choir at age 6 and hasn’t stopped since, and he also spent a few years with a trombone along the way. He just about went to university for engineering, but ended up seeing the light and choosing music instead. His Bachelor of Music degree was obtained from the University of Saskatchewan, where he studied voice with Janice Paterson and Garry Gable and performed with the Greystone Singers and Musical Theatre Ensemble. Since returning to Calgary, Dave has sung with various choirs in the area, including the Festival Chorus, the Bow Valley Chorus, and the Calgary Philharmonic Chorus. In addition to Luminous Voices, he also sings currently with Spiritus Chamber Choir and Il Sono Men’s Vocal Ensemble. Another element of Dave’s musical life is composition, which he studied at the University of Calgary. While he has written music in many styles and for many instruments, his current compositional activities centre on the writing and arranging of choral and vocal music of various genres (everything from original pieces in the classical realm to Boney M), a reflection of his lifelong love of singing. Wes Nickel has been singing since childhood. He began his musical studies on the violin at age seven. He has studied with Imant Raminsh and Dr. Francis Chaplin. He holds a Bachelor of Music Education degree from Brandon University. Wes' choral singing experience began at the Canadian Mennonite Bible College in Winnipeg under Dr. George Wiebe, and then at Brandon with Dr. Earl Davey. Since then, he has sung with accomplished choirs in Manitoba, British Columbia, and most recently in Calgary with the award-winning Spiritus Chamber Choir, with Il Sono Men's Vocal Ensemble, and Luminous Voices, of which he is a founding member. 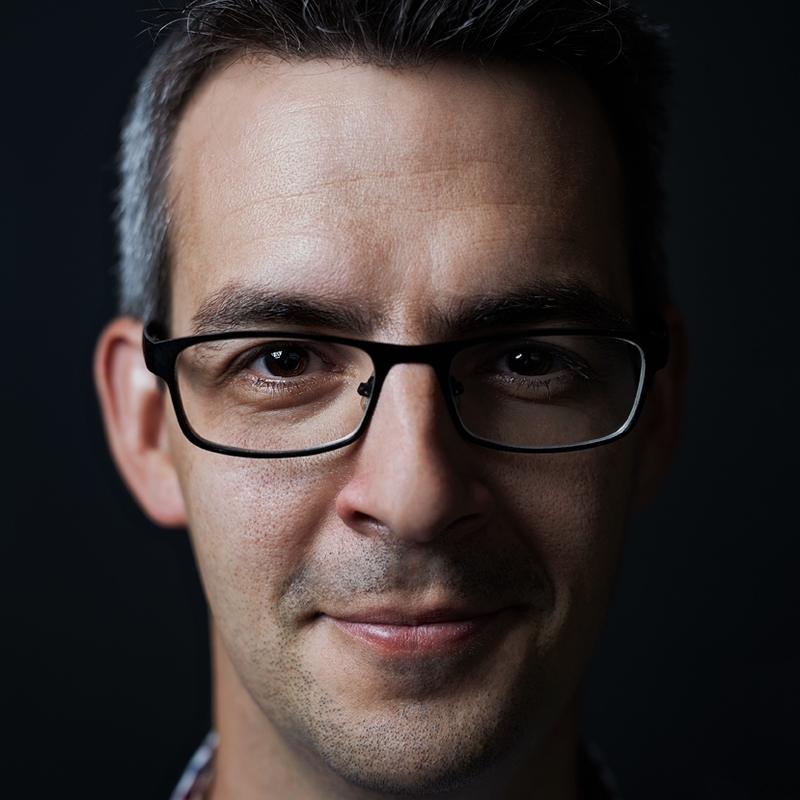 Wes served as principal bass for the Calgary Philharmonic Chorus for six seasons, and has participated in programs with VoiceScapes, Pro Coro Canada, the Calgary Bach Society and Supersonic Men's Choir. Wes works in the renovation sector of the construction industry and is an experienced log-builder. A purist with an "old-school" approach to common ideals, he loves to cook over an open wood fire. Leonard Ratzlaff AOE, OC has been on the faculty of the University of Alberta Department of Music since 1981. With Prof. Debra Cairns, Ratzlaff co-founded and now directs what is now the most established graduate training program for choral conductors in Canada. He directs the University of Alberta Madrigal Singers, one of Canada’s leading university choirs, which has gained both national and international competition awards for its performances and recordings. Dr. Ratzlaff has conducted premieres of new works by numerous Canadian composers, including Violet Archer, Allan Bevan, John Estacio, Malcolm Forsyth, Allan Gilliland, Christos Hatzis, Gerhard Krapf, Stephanie Martin, Imant Raminsh, Sid Robinovitch, James Rolfe, Mark Sirett and Ruth Watson Henderson. As a baritone he has sung in numerous projects in North America and Europe with the late American conductor Robert Shaw, and participated as soloist in the Classical Music Festival in Eisenstadt, Austria for many years. In recent years he has immensely enjoyed singing with numerous Alberta ensembles, including Pro Coro, Spiritus, Voicescapes and Luminous Voices. Dr. Ratzlaff also directs the Richard Eaton Singers, a 110-voice symphonic chorus that performs regularly with the Edmonton Symphony and has toured both nationally and internationally, most recently to the UK in 2017. 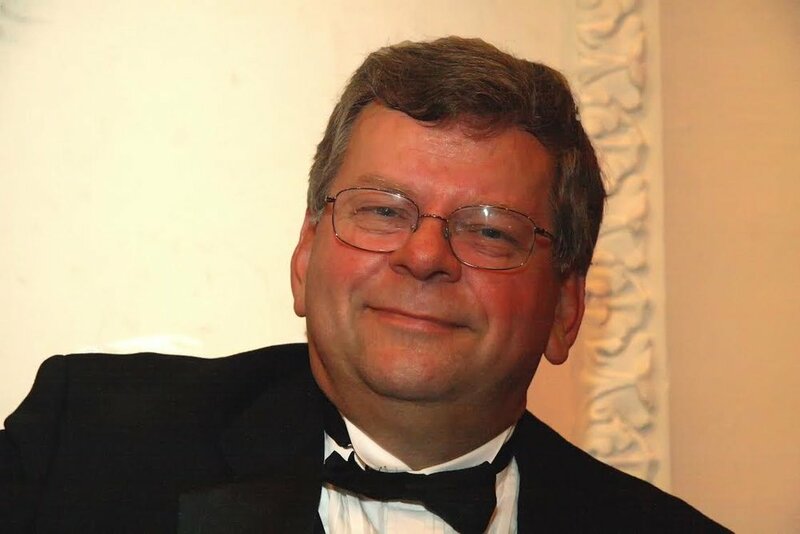 He has served as president of Choral Canada, and is currently on the board of Chorus America. Honours include induction into the Alberta Order of Excellence, the Order of Canada and the Royal Society of Canada. In summer 2018, Dr. Ratzlaff received 2018 Choral Canada's Distinguished Service Award.